Robin Stevens was born in California and grew up in Oxford, England, across the road from the house where Alice of Alice in Wonderland lived. Robin has been making up stories all her life. She spent her teenage years at boarding school, reading a lot of murder mysteries and hoping that she'd get the chance to do some detecting herself. (She didn't.) She studied crime fiction in college and then worked in children's publishing. Robin now lives in London with her pet bearded dragon, Watson. I'm pretty sure that Stevens stole the life that I was meant to have right after that born in California part. But, the great thing is that this life has made her the perfect author to write a middle grade boarding school mystery series! She goes one step further too and sets in the interwar period where she can explore the complexities of life as a girl/woman in the 1930s. And, as if that isn't enough, she also makes one of the main characters (and the voice of the story) a girl from Hong Kong so that she can explore race and outsiderness. The icing on the cake, so to speak, is definitely her inclusion of classic mystery titles throughout the story. If a kid loves this book and ends up picking up Peril at End House or The Man in the Queue, a new little mystery fan-for-life will be made. I adored all of these various aspects of this story and I look forward to continuing in the series. The only change I might make is from reading the US to the UK versions. The US version of this first book has a couple of Americanizations (cookies and grades instead of biscuits and forms) that actually pulled me out of the story because they seemed so out of place. It was especially strange because there was a glossary at the back of boarding school and period terms. I don't know why these words couldn't have just been added there to keep the authenticity. Many of the titles are also changed for the US versions and they just aren't as fun. I don't even want to know what they're going to do with Jolly Foul Play. Still, these are very small complaints about a great little story! 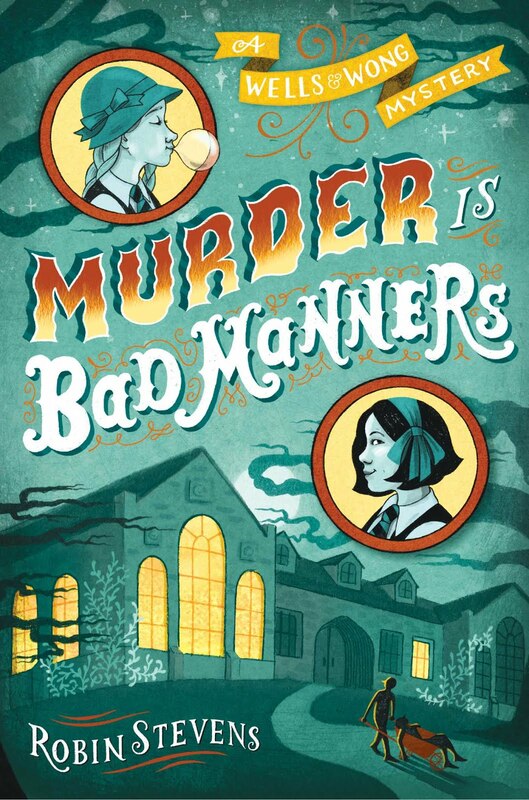 Oh, Murder Most Unladylike is such a better title! Why, oh why do they have to Americanize? 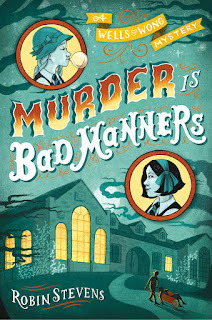 But THANK YOU for telling me the UK title, since my library has the UK version and I never would have found it by searching for Murder is Bad Manners. I have placed it on hold. Oh good! I hope you enjoy it. There are two other books out (or out soon) in the US and I think four more in the UK so hopefully you have the fuller series up there! Boo for Americanization. The different terms in British books are part of the fun! Still, this does sound like a terrific read. I love that it includes references to classic mysteries too. It's so true! There's nothing as fun when you're a kid than knowing you know what they call something in another country. And the classic mystery references were great. I think there are one or two that I didn't recognize so I'll need to go search them out!